I almost didn't put these photos up. Wanna know why? Cause I hate how I look in my glasses. I literally wear them between the bathroom and my bedroom when I've just taken out/about to put in my contacts. Even though they're pink. 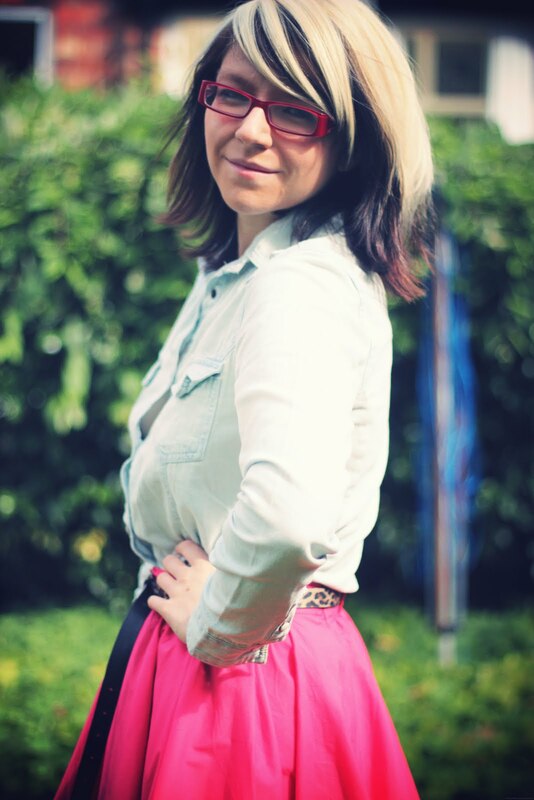 And Miu Miu I just don't like the way they look on me. I think so many people look great in glasses- Laura and Vicki are two great examples of glasses-wearing bloggers- but not me. Today, however, I have an eye appointment, and it seemed ridiculous to put my contacts in to take pictures to then take them out for my appointment. So I was brave. Remember when I posted up my pale, tights-less thighs in short shorts? This is worse than that. I am looking for new glasses though, and I've found a few styles that I like (I love my fake glasses and I want some just like them) so I'm hoping that when I find a style I love I will be more open to wearing them more. I need some hot leopard shoes like that. I want to cut the bows off these ones but I think it would wreck them. However, I have some vouchers to spend and I'm thinking of splashing out on a new pair of leopard shoes. Sans bow. My mum dared to suggest I shouldn't buy any more leopard print because "it's probably going to go out of style soon." Um, what? No!! I have way, way more leopard items to buy and wear. 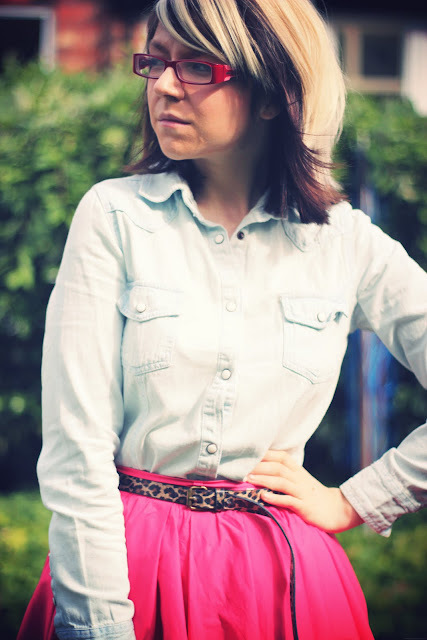 I have become a little obsessed with adding leopard accents to every outfit though- leopard goes with everything!! Speaking of which, I am obsessed with this nail tutorial!! If any of you read my College Candy posts a few months ago you'll know that I was trying to break a 20+ year long nail biting habit. Well, I've finally done it!! They're still very brittle and break easily but I haven't bitten them in weeks now. Can't wait to get them long to do this tutorial!! Not much else to report today!! I am getting on with my to-do list and doing pretty well. I've written lots of postcards and have a few things to send to the US and I have a bit of shopping I'm going to get on with before my eye appointment. Then we have a family thing tonight because my Grandad's sister and nephew have come over from Ireland to see him in hospital. I realise I haven't mentioned him for a while. He's still in hospital, and has been for a while, but he's doing much better. He's still making me laugh and was joking with me about my spread in the paper a few days ago. oh what a lovely skirt! I really want more leopard stuff too. I wish I had the time to go thrifting this weekend, but I'll be running around like a headless chicken instead. 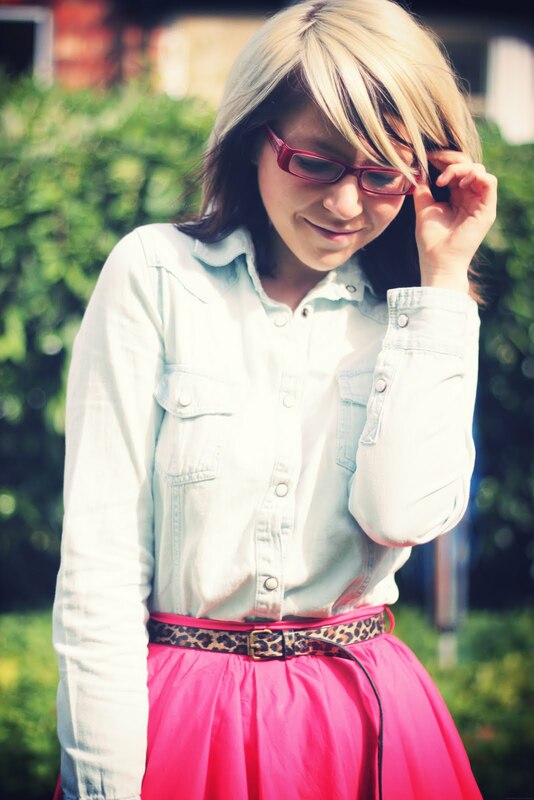 Cute outfit, that skirt is really fun! i think your glasses are cute on you! they look nice with the skirt, too. no worries! 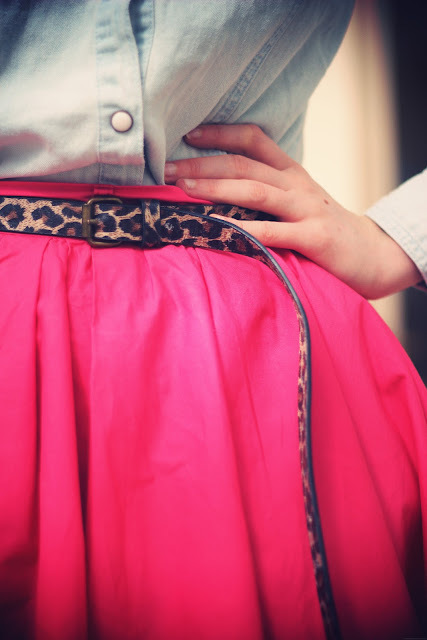 Love that pink skirt with your leopard-print belt! The two look lovely together! Great outfit inspiration, lovely glasses. You wear them so well. they look so nice on you!!! How wonderful! 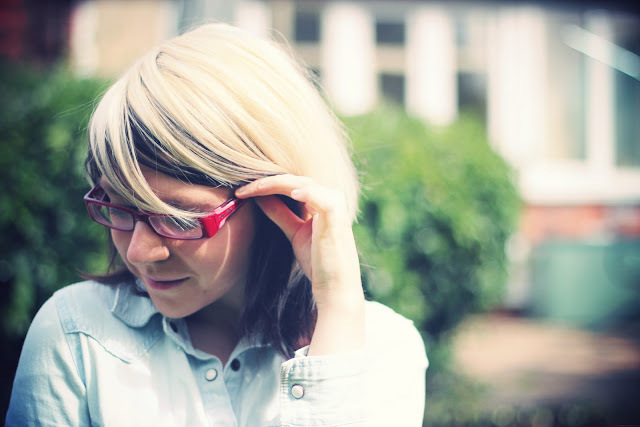 I hated wearing my glasses before I got my new pair too - I didn't think that they suited me and they were ones that I would never have chosen myself. 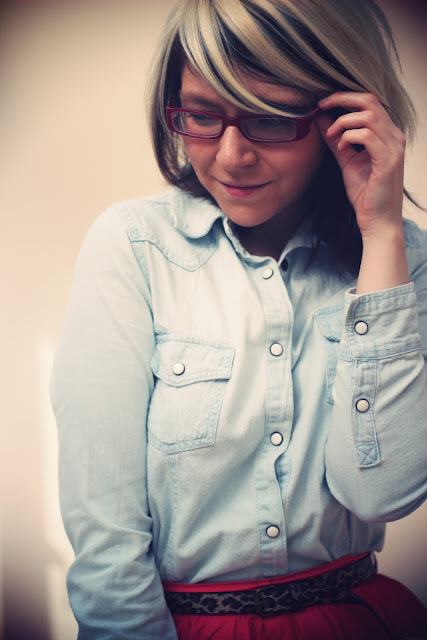 Now I'm happy with my choice, I wear them over my contact lenses some days, especially if I'm not leaving the house, and it is so good to be able to run out to lectures and whatnot with wasting time poking around in my eyes!